French business insolvencies increased again in 2015. According to the French Central Bank, business failures of very small businesses increased 2.1%, while mid-sized and larger companies registered decreases (5.8% and 16.4% respectively). 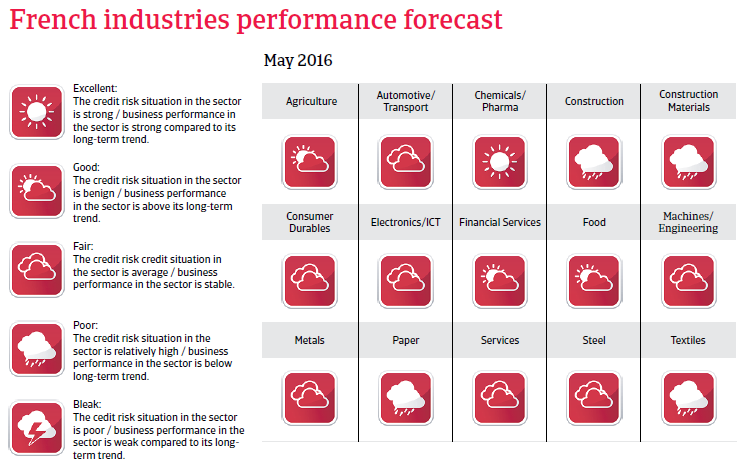 In light of the modest economic rebound expected in 2016, business failures are expected to decrease 4%. 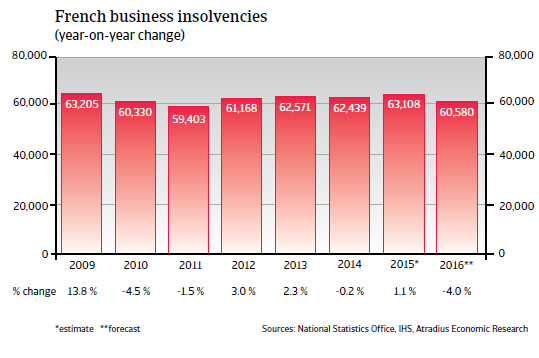 However, with more than 60,000 cases expected, the number of business insolvencies would still be about 10% higher than in 2008. After several years of feeble GDP increases below 1%, in 2016 the French economy is expected to grow 1.1% as private consumption, manufacturing and exports improve. 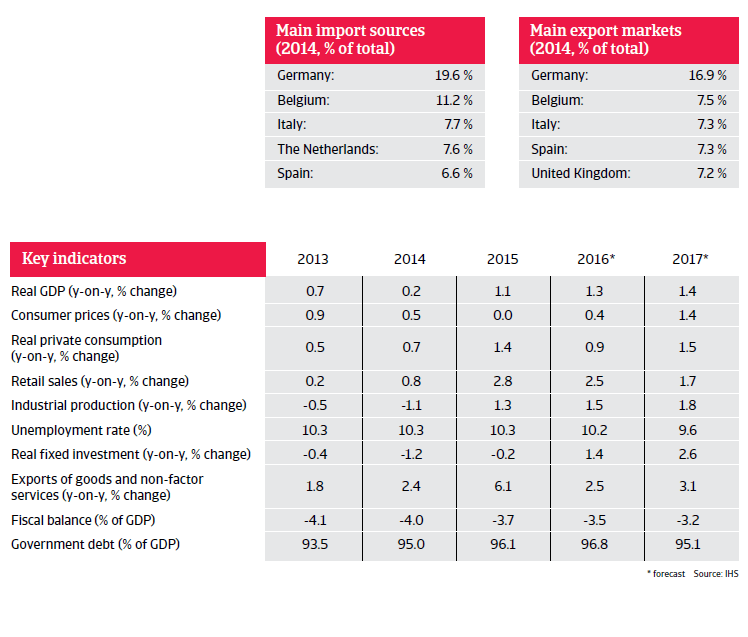 However, this growth rate remains below the eurozone average of 1.5%. 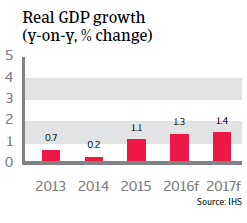 In 2016 economic growth is expected to increase 1.4%, driven by a rebound in investment and industrial production. However, productivity remains an issue in the French manufacturing sector. Private consumption, traditionally a major contributor to French economic growth is sustained by persistent low energy prices. At the same time, the high unemployment rate of more than 10% still hampers household consumption expansion. The 2008 credit crisis, subsequent government stimulus measures, and France’s only modest recovery have led to a sharp increase in public debt in recent years, up to 96% of GDP in 2015 from 66.7% of GDP in 2008. 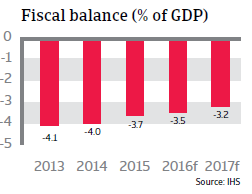 The French government has repeatedly missed meeting the Maastricht deficit threshold of 3% of GDP. Despite some austerity programmes, more measures to curb public spending are required, as public spending in France is the highest in the eurozone.